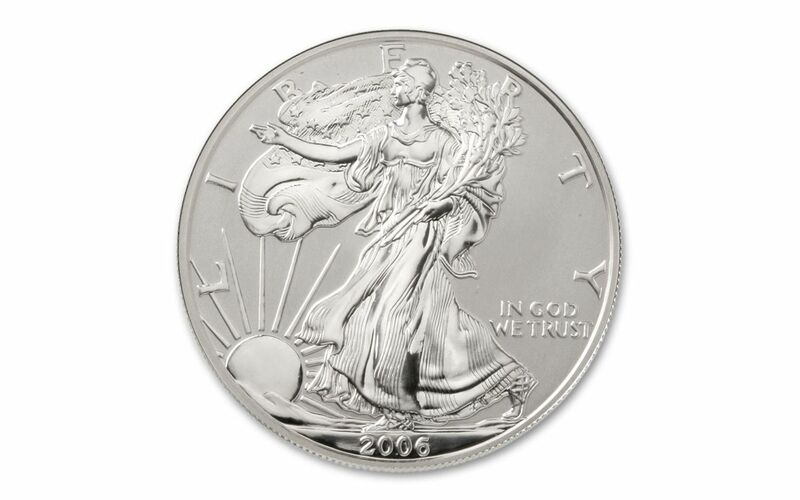 First-Year Reverse Proof Silver Eagles! 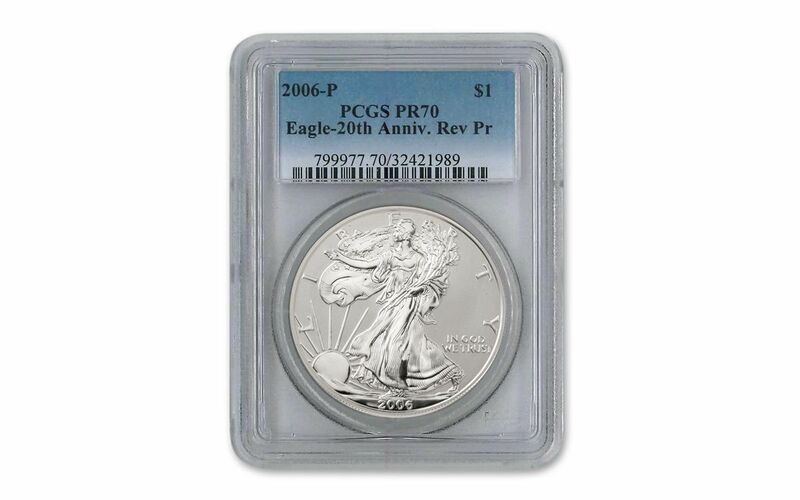 As we continue to celebrate the 30th Anniversary of the Silver Eagle series, let's take a step back – or, rather, a whole decade's worth of steps! 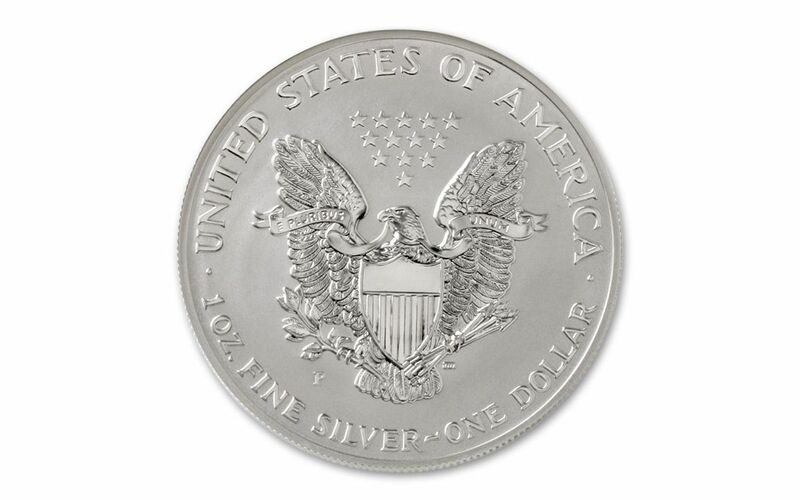 2006 marked the 20th Anniversary of the Silver Eagle, and as part of the celebration, the U.S. Mint introduced an historic first -- Reverse Proof Silver Eagles, where the design of the coin shines with a mirror-like gleam while the field, or background, is displayed with a frosted finish. 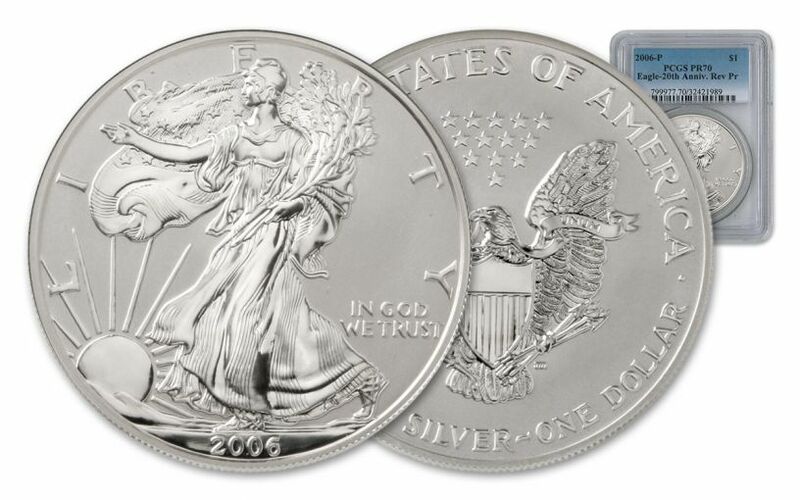 Each is struck on one full ounce of 99.9% silver and comes graded in absolute perfect Proof-70 (PF70) condition by either Professional Coin Grading Service (PCGS) or Numismatic Guaranty Corporation (NGC). Ten years after these coins were released, we're celebrating again by making them available to you once more. Collectors socked away as many as they could get their hands on, and we only have a limited quantity left in our vault. So don't wait -- join in the celebration today!